Captain Bob Hone has contributed to a new book designed to feature on board every ship in the world. A Plymouth University academic has contributed to a pioneering publication designed to be an onboard resource for every ship in the world. Captain Bob Hone, from the Faculty of Science and Engineering, has written a chapter for The Nautical Institute’s publication Navigation Accidents and their Causes. The book looks at major casualties on board ships and the lessons that can be learned from their errors, setting out good practice to avoid them in future. The book’s innovative approach goes beyond the scope of recognised onboard essentials Collisions and their Causes and Strandings and their Causes, both previously published by The Nautical Institute and written by the late Captain Richard Cahill. 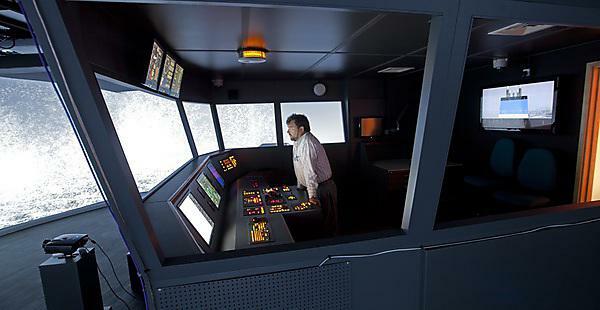 While Navigation Accidents and their Causes examines failings that Cahill clearly identified, it goes further by suggesting onboard training and mentoring as the way to learn from accidents. As a former Staff Captain of the QE2, Captain Hone has a keen interest in onboard welfare and discusses the best way to facilitate communications on a ship in his chapter, Bridge Resource Management. His extensive experience and interest in the subject matter have taken into account his notion that 80 per cent of ship’s management is human responsibility, and he hopes that people will remember his advice. “It’s all in the ‘seven Cs’,” he said. “Clarity of purpose, consistency, concise communication, conduct and proper use of checklists, competence and confidence, common ownership of the plan, and finally, credit and congratulation. The foreword to the book has been written by Secretary-General of the International Maritime Organization, Koji Sekimizu, who visited Plymouth University earlier this year.